Rebuilt Remanufactured Datsun Nissan Engine Rebuilding. 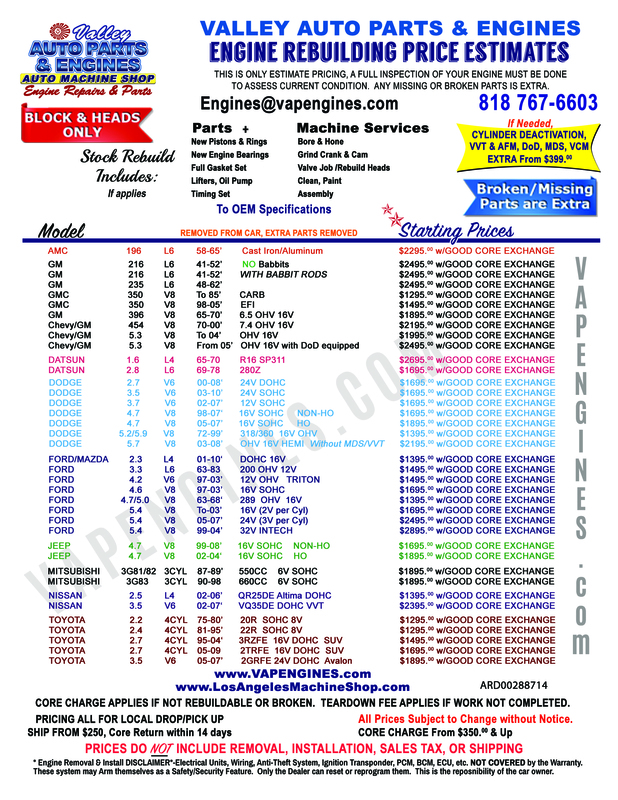 818 767-6603 for your car! No Warranty on Performance engines, parts, or cylinder heads.